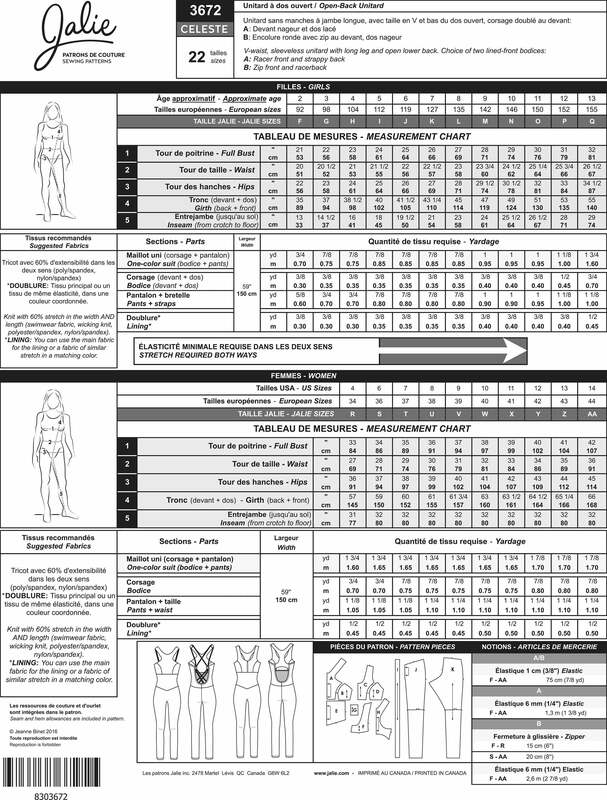 Package includes patterns and instructions to make V-waist, sleeveless Unitard with long leg and open lower back. Choice of two lined-front bodices: View A: Racer front and strappy back. View B: Zip front and racer back. Great pattern for both Ice Skating and Dance Routines!